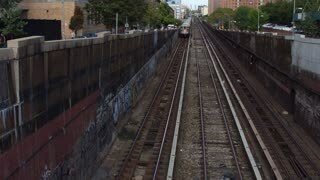 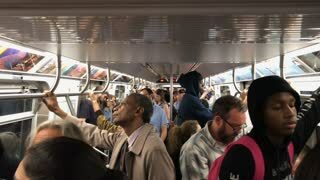 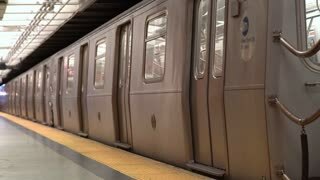 Chasing a New York City subway train on the Williamsburg Bridge over the East River between Manhattan and Brooklyn. 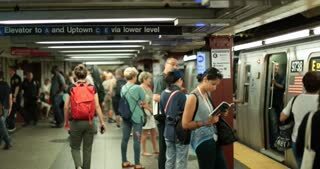 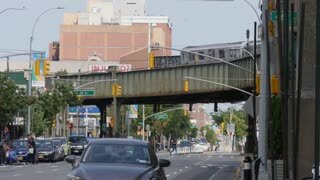 NEW YORK CITY - Circa June, 2017 - A daytime establishing shot of busy Queens Boulevard as an elevated subway train travels above in the distance. 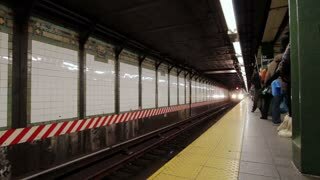 Racing a New York City subway train on the Williamsburg Bridge over the East River between Manhattan and Brooklyn.